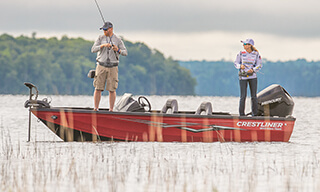 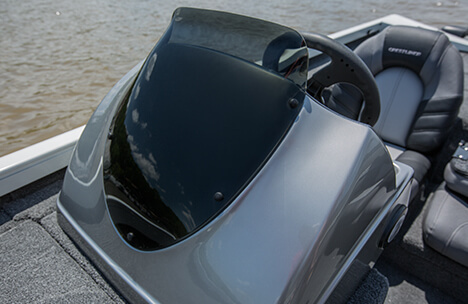 Crestliner raised the bar on competition-level aluminum bass fishing boats when it created the VT 19. 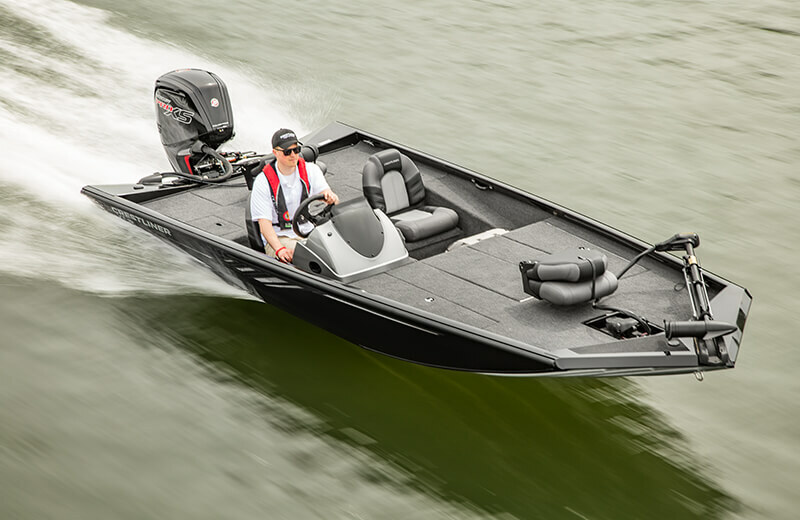 Built with Crestliner’s all-welded Multi-X Hull and extruded full-length keel, these boats are designed to deliver unbeatable strength and durability. 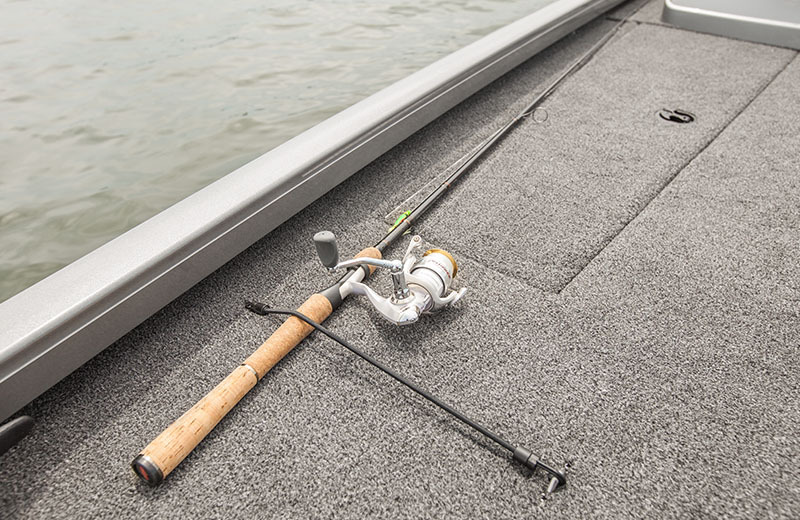 A huge bow casting platform gives way to tons of storage for your rods and gear. 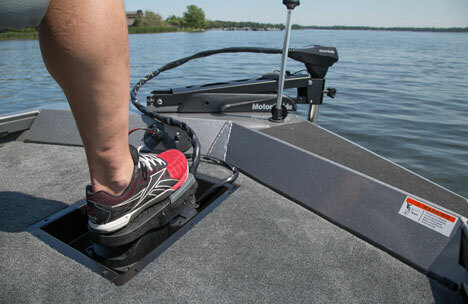 The bow also features an ergonomic recessed foot control that makes it easy to troll around while flipping topwater all day long. 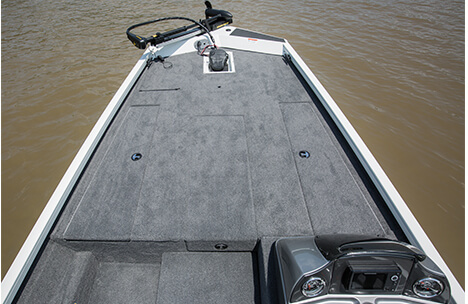 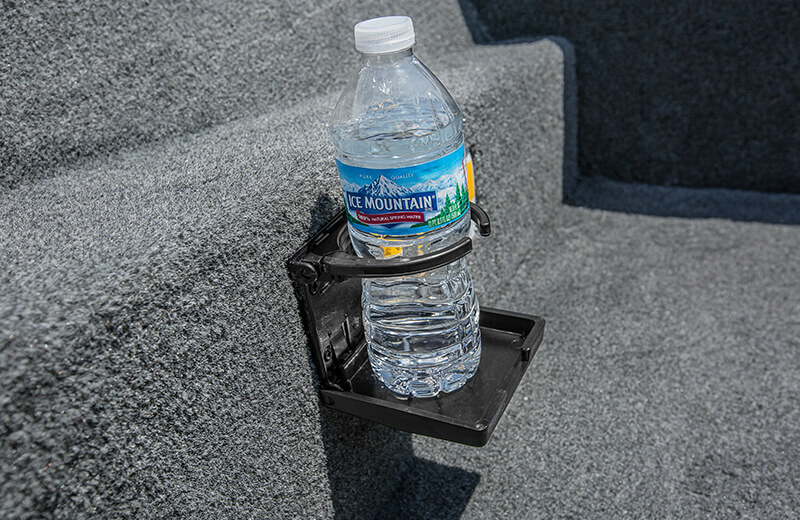 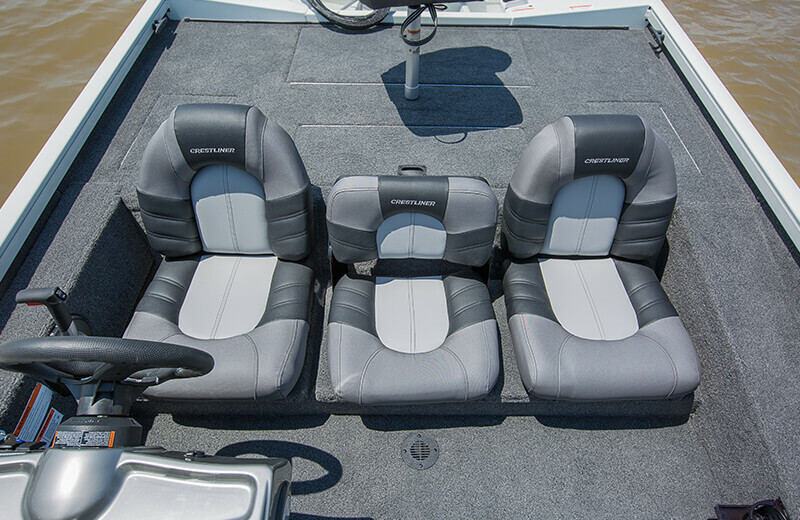 The aft of the ship is equipped with another casting platform and a 22-gallon aerated livewell to hold your catch. 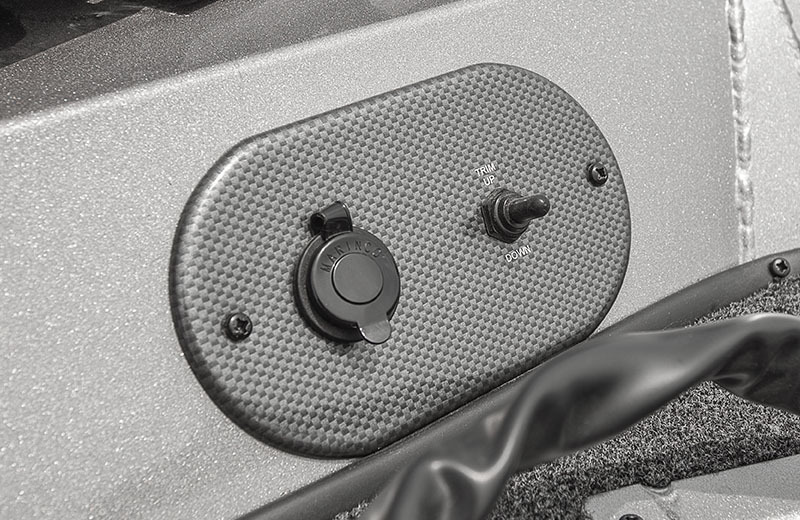 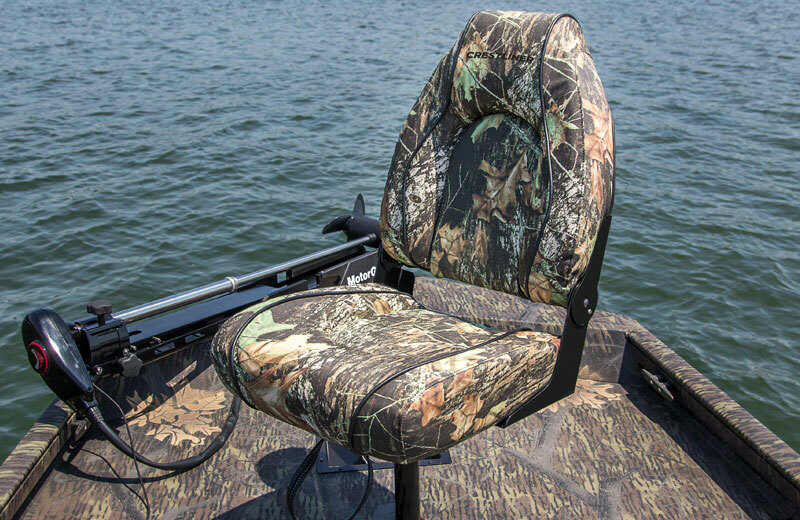 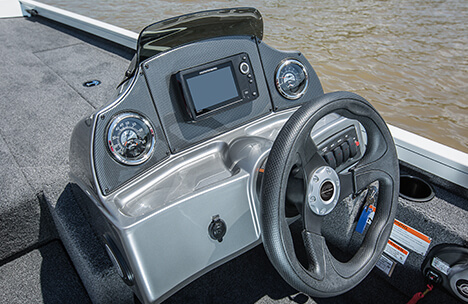 The carbon fiber style instrument panel comes standard with a Humminbird® PiranhaMAX 4 color fish finder, 12V power outlet, and more. 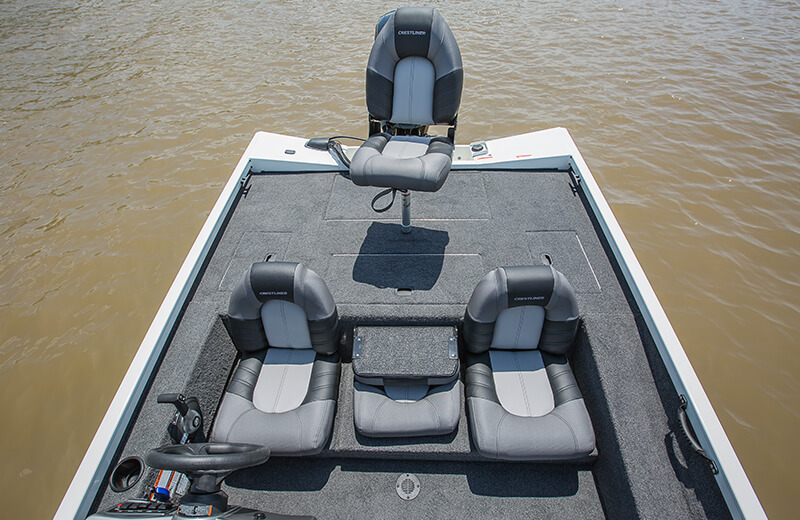 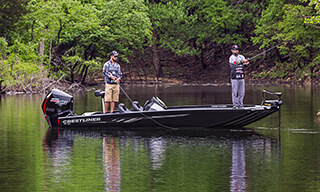 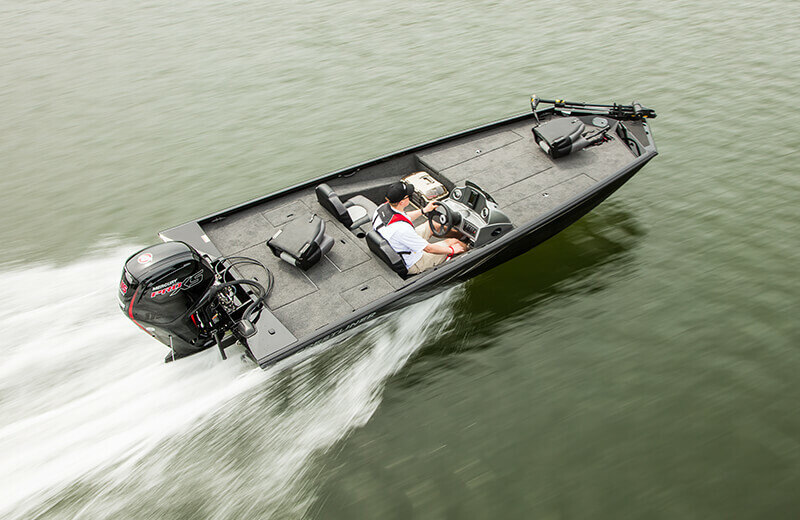 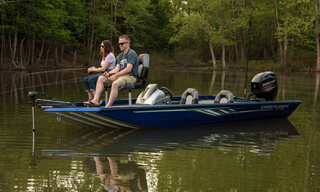 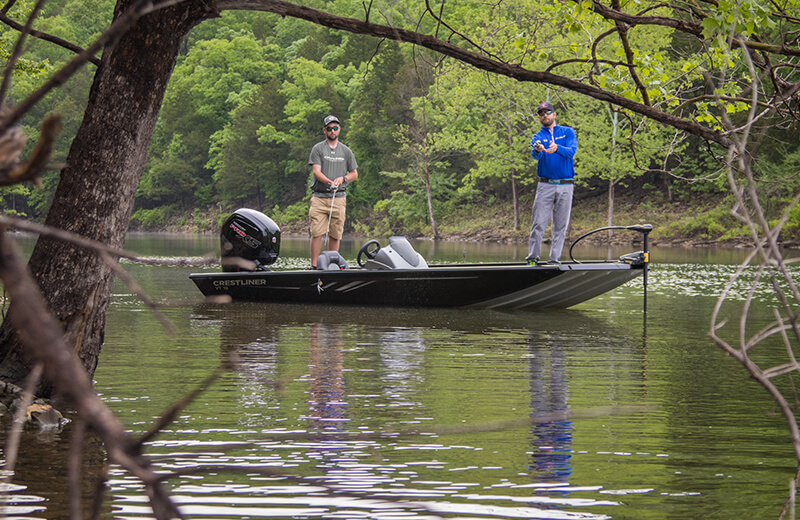 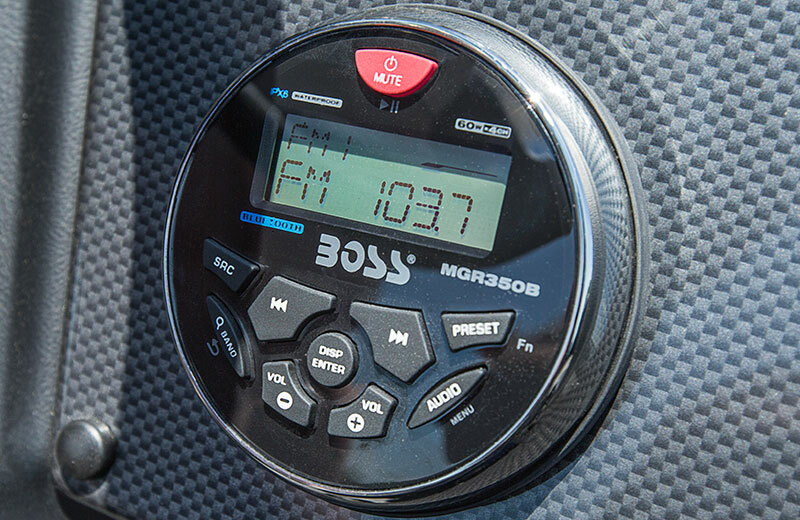 Any way you slice it, this bass fishing boat gives you a competitive edge. 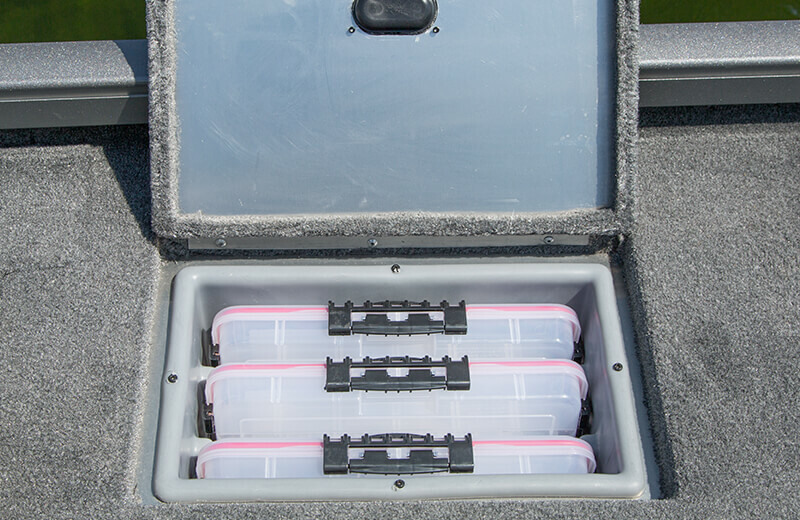 Bring everything and have room to spare with large lockable port and starboard rod storage compartments, each holding eight 7’6” rods. 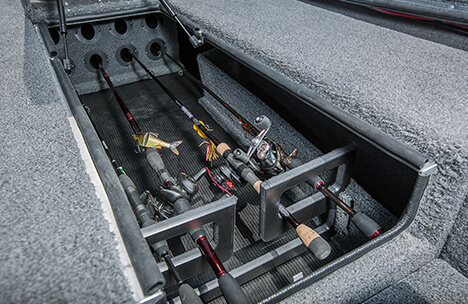 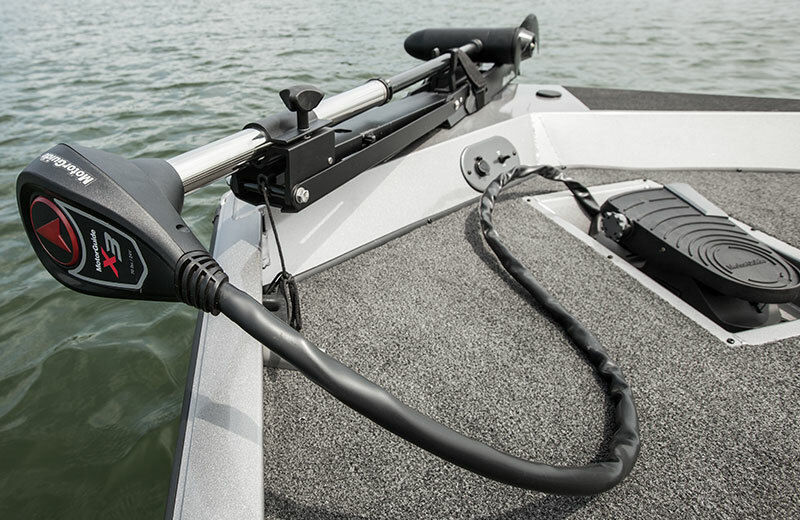 In-floor center locking rod storage holds up to eight 8’ rods. 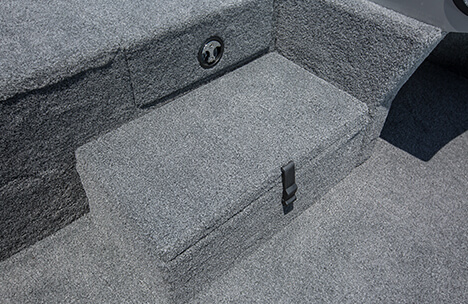 Step to the bow includes dry storage compartment. 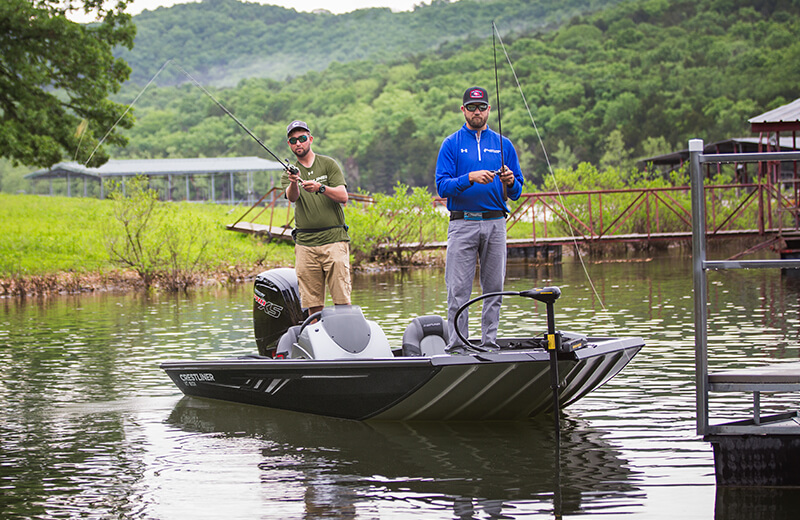 With the VT’s large casting platforms, you get all-day fishing comfort with the freedom to maneuver when a catch is on the line.